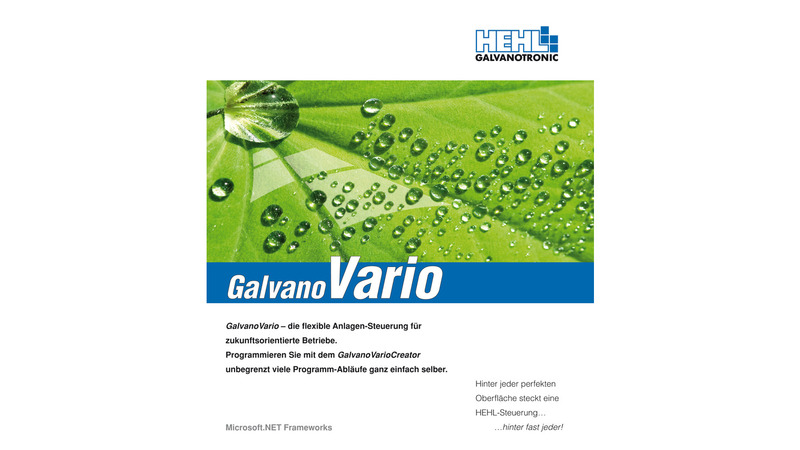 GalvanoVario lets you get the best out of all mixed operation, free-moving plant. The controller is designed as a free system with ProgramCreator. The plant operator can create the sequence programs himself in the shortest possible time with a few simple clicks. 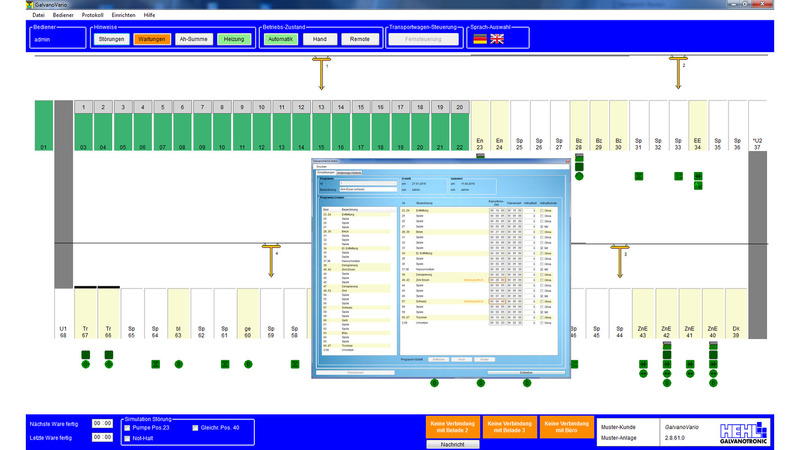 The software simulates the process parameters specified by the operator (exposure times, bath order etc.) and on the basis of this creates an optimal program sequence. The sequence programs can be operated mixed - with no empty cycle. The ideal condition for this is that sufficient memory must be available for the projection.